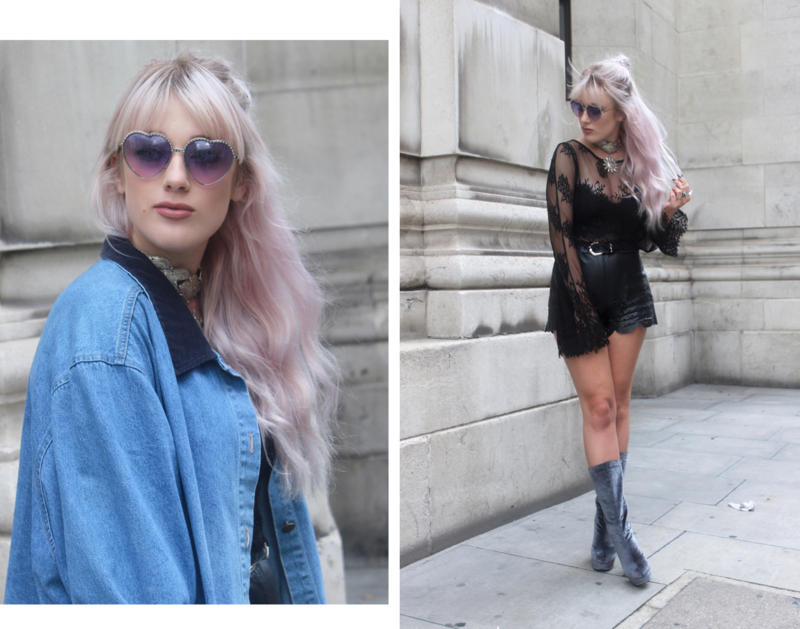 This year I did LFW with my friend and fellow blogger Ellie, we booked loads of shows and had a really busy couple of days. I have to say I'm not a huge fan of the new venue, it's just not the same as Somerset House! I also wish I'd been able to meet more blogger friends, but we were just so busy and our shows were quite far apart. I'm so happy with these silver velvet babies, I managed to snap them up on eBay for only 99p! My jacket was another bargain, I picked it up for around £3 in Goodwill in the summer and thought it'd be perfect for the new season. It just goes to show you don't need to be decked in designer to go to Fashion Week! The boots are amazing! Love the look. You look stunning, beautiful look! Wow only 99p?! Thats so amazing, hope fashion week was amazing for you!